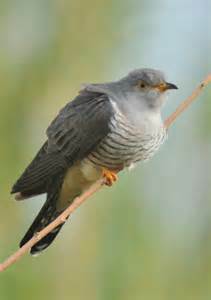 Where Have All the Cuckoos Gone? Our neighborhood cuckoo birds, who arrived around April and delighted us with their enthusiastic calls, seem to have fled. Not a cuckoo within earshot for weeks now. What gives? I googled cuckoos, and it sounds as if they generally stick around this area until September, so this in an unusually early departure. Anyone out there have any cuckoo bird experience and can shed light on this? I don’t have a personal experience but read something that stated they often leave in August. I wonder if this has something to do with our weather? I hope it doesn’t mean winter will come early. Interesting. You know, we never heard any cuckoos last summer or fall, and we were so excited when they came to roost this spring. You know, last summer was very wet and chilly around here, so maybe they are sensitive to any weather issues. This summer has been hot, but I’ll be on the lookout for an early winter now!